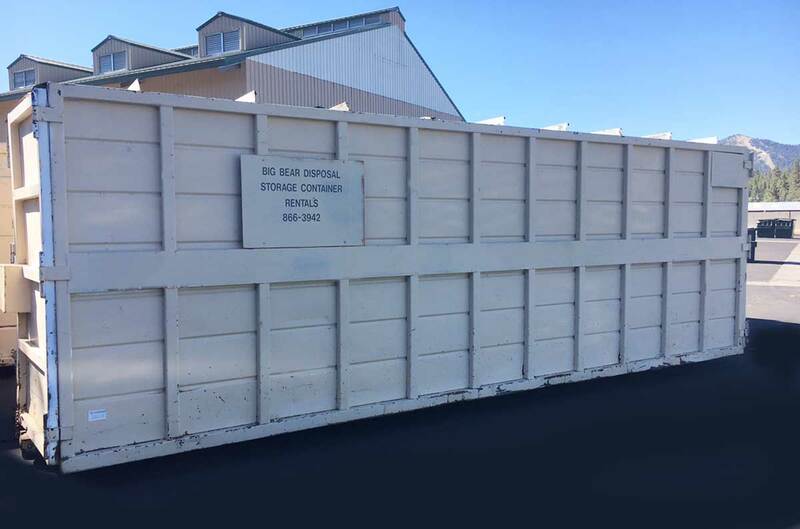 Storage Containers – Big Bear Disposal, Inc. Storage container size 22' x 8' x 8'. No hazardous or universal waste allowed. See “Unacceptable Items” list for a list of items not accepted. Renter/signor responsible for all costs associated with clean-up of any unacceptable waste including cost of Hazardous Materials Response Team as needed.